Hi my name is Daz Smith and welcome to the remote viewing and paranormal news that I collected from the internet and social media in March 2014. OK, this month we saw a ton of activity due to the Courtney Brown/Farsight announcment of their Giza Pyramids project. Now, of course im biased on this project, being one of the two remote viewers who were BLINDLY used on this project. I have collected some of the sources on the net about this project this month but to be very honest there are too many to list all the sources. Courtney embarked on a very controversial marketing campaign for this project, only he will be able to tell you the end results success wise, but it has to be said that the release video (free) on youtube has already had over 42,600 plays in two weeks – whereas the last project release video for the Atlantis project has only achieved 350 views in total. Anyway, controversial topic and marketing or not, I do urge you to look at the actual Remote viewing sessions and the free 40min video at least, which are all available online for you to download and view. At the very least, they are great examples of BLIND hits on the pyramids, whether the construction methods and the builders data holds to also be a hit, remains unknown until we have further feedback, IMO, but it is very interesting stuff. Courtney Brown & Giza Pyramids remote Viewing project. Courtney Brown interview that I just gave with Lorien Fenton on Revolution Radio. Daily Grail – 1 Feb, 2014. “Physicists as renowned as John Wheeler, Richard Feynman, Dennis Sciama, and Yakir Aharonov have speculated that causality is a two-headed arrow and the future might influence the past. Today, the leading advocate of this position is Huw Price, a University of Cambridge philosopher who specializes in the physics of time. “The answer to the question, ‘Could the world be such that we do have a limited amount of control over the past,’ ” Price says, “is yes.” What’s more, Price and others argue that the evidence for such control has been staring at us for more than half a century. Remote Viewing expert Ed Dames Predicts Martial Law in 2015 and no 2016 elections! The Ultimate Remote Viewing Experiment? “I’m on the fence about remote viewing. 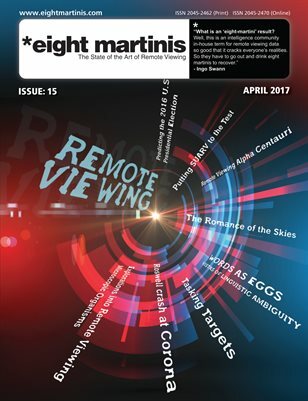 Back in 2009, we actually featured a listener who claimed remote viewing abilities: April 26, 2009 — Daz Smith. I think he was later banned from the forums, but he did produce possibly creditable results that demonstrated some sort of unusual abilities. So listen here remote viewers, how about the ultimate “spy” mission? As you know, Apple Inc. is famously secretive about future product development. Millions want to know if there will be an iWatch, an Apple connected TV, or even what form the next iPhone will take. So if any of you believe you have the ability to see what’s going on elsewhere, how about taking a trip to Apple headquarters in Cupertino, CA and tell us what you see? “you might be interested in checking out the Dung Beetle System? There are many different ways you can evaluate your session. It’s a matter of preference. Probably the most unique feature about Dung Beetle, is that there are algorithms behind it… that will calculate and provide you an… ACTUAL SCORE… the score is entirely based on your inputs… because it is a mathematical formula… the problem of subjectivity… is substantially reduced… however, it does not eliminate “subjectivity”… because ultimately, each piece of data is judged subjectively. The special bond between twins and their ”exceptional experiences”. Twins have for many years reported to have very special experiences that sometimes can remind about telepathy. Now for the first time in modern time, these experiences that so far only have been anecdotes will be investigated by scientists, in an unprejudiced way and with scientific methods. In collaboration between The University of Gothenburg, Green-wich University and King’s College, London, twins’ exceptional experiences are to be studied unprejudiced, so that we better can understand their true nature. We have so far got very interesting results with British twins, and now want to continue with US as well as with Swedish twins. For Swedish twins we recently had an advertisement in a major daily Swedish paper. Questions will be answered by Göran Brusewitz, PhD student, Greenwich University, London. Scientist in charge: Dr. David Luke, Greenwich University as well as Professor Adrian Parker, University of Gothenburg. Wednesday, April 9th at 8pm Eastern. “As owner of Mindwise Consulting, Angela is busy giving instruction, traveling and presenting information about her work in remote viewing. Please join us as she moves us from classroom into the world of how remote-viewing is used in operations / applications. There will be time for questions and answers after the presentation. Audio is necessary but a camera / microphone is not. A text area is provided for questions if needed. Cost: $1,250 Early Bird Special is $950 prior to June 15th!